Just Done It, Nike. You’re Welcome. First off, I apologize for the seemingly excessive health/fitness related blog posts (ok so there are like, what, two? but I feel excessive so my apologies regardless.) In this lovely effort to get myself grounded on actually enjoying life instead of stressing over every single minor complication, I am on this total mission to work out and actually burn the majority of my anxiety before it drives me crazy. Problem: I hate gyms. And exercising outdoors. Or basically wherever people regularly frequent. The issue is simple insecurity. I look at other people when they’re working out, I admit it! So, obviously they’ve noticed me too! Which is not ok when I’m totally out of shape and horribly self-conscious. SO, until I’ve reached a level of comfort, and until the group classes at the gym become more available to the public (I can handle those; there are plenty of people worse than I) I needed some solution. 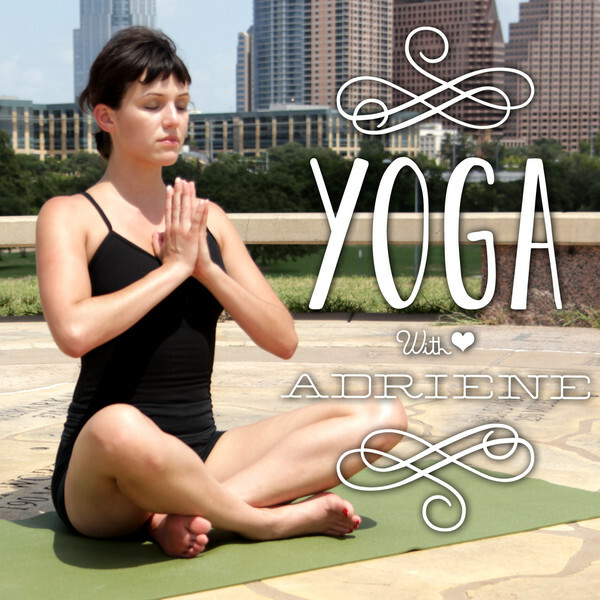 I have found an angel on earth, and her name is Adriene, and I am officially becoming a yogi. If you’re interested in just learning the basics or learning poses, or even learning a more advanced sequence, I highly HIGHLY suggest checking her out! Truth be told, I was a little stiff from fencing and ab workouts yesterday, and I just wanted to loosen up a bit. So I am currently chilling on my dorm floor with my mat rolled out after the beginner’s video, which I guessed would give me a good enough stretch for tonight, and I’m hooked. Another fitness adventure down! Y’all keep checking in, I have health recipes and maybe some rock climbing or kayaking or who knows what next!